WEM Electric Motors and Drives (Pty) Ltd is run by forward thinking and mature management, supported by trained sales team and skilled technicians, with years of experience. Our specialised team, comprising senior management and inspection and assembly staff at our works in Germiston, to undertake design and evaluation of MV motors and for servicing, repair and testing. It however also employs a number of SABS approved fully equipped rewinders to undertake rebuilding of motors on its behalf. All the works done is under detailed documented instruction by these sub-contracts who are ISO 9002 Certified. Their work is personally inspected and approved by our motor design engineers before acceptance. 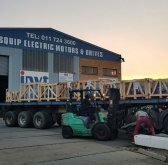 This controlled management and work procedure allows WEM Electric Motors and Drives (Pty) Ltd to expand the motor unit size and volume, without a major addition in facilities and staffing. 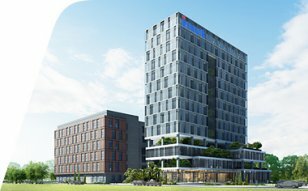 We are therefore currently able to handle motor sizes locally ranging from 1 to 1 000kW, in Low Voltage as well as up to 50 000kW in Medium Voltage. 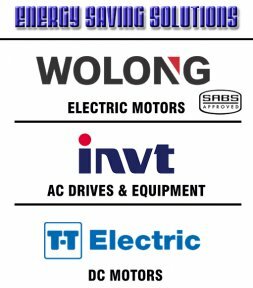 Our aim is to be one of the major suppliers, stockists and distributors of new LV and MV High Efficiency Electric Motors, Drives and associated equipment in Southern Africa. WEM Electric Motors and Drives (Pty) Ltd's is situated at 28 Rail Road, Roodekop, Germiston, Gauteng. 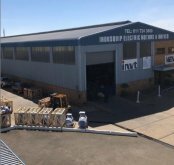 The factory comprises of two bays with a covered area of 5000 square metres, having a 400 square metres ablution facility, 1500 square metres office area and a yard area of a further 7000 squares metre. 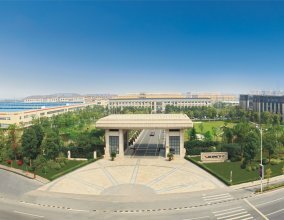 is synonymous with WEM Electric Motors and Drives being able to supply fast, quality equipment at competitive prices with personalized efficient service.